This study examines the public health consequences of criminalizing homelessness in Denver. 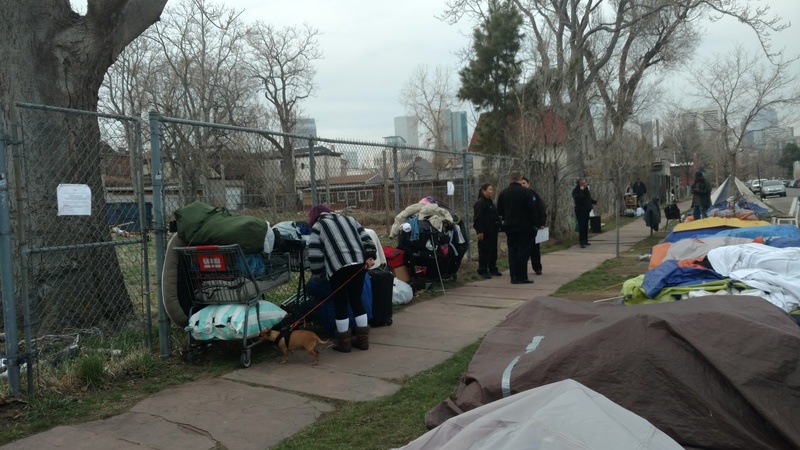 The study reports on a poll of 484 homeless individuals in Denver, regarding their experiences with “quality of life” policing, and how those policing practices are affecting their personal health and quality of life. Watch livesteam of the report release presentation here below. Respondents who are frequently woken by police typically sleep only in short bursts: 49% report 2 hours or less of uninterrupted sleep) and achieve less than four hours of sleep a night (37% of all respondents). 87% of respondents seek different sleeping locations to avoid police contact; 50% of respondents have sought more hidden and isolated locations. Both male and female respondents who have found more hidden sleeping location report increased rates of robbery, physical violence and sexual assault. Women who have found more hidden sleeping locations report a 50% higher rate of robbery, a 60% higher rate of sexual assault, and more than 3 times the rate of physical assault. Come join us on Saturday April 13th as we present these findings, feast on delicious food, and receive a copy of the report. 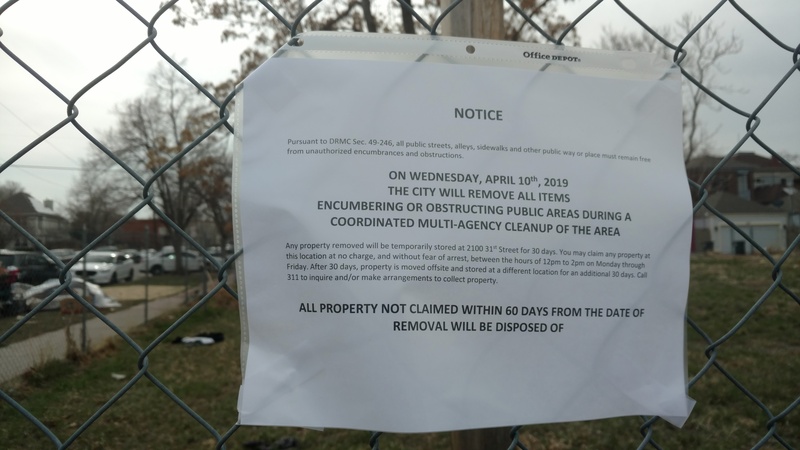 This report comes out two days before ballots drop where the people of Denver will be voting on the Right to Survive initiative 300 to over turn the camping ban and end criminalization of homelessness.